Drilling machine - SHIRAI TECH, LIMITED. Shown in the figure is one of the types of drilling machines for industrial glass. 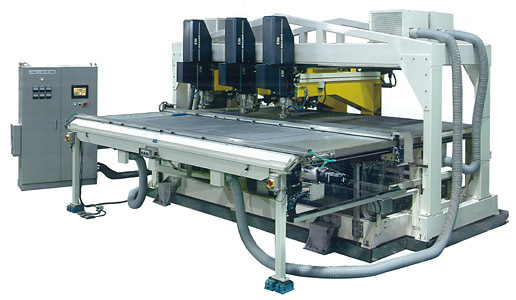 We can also build drilling machines for PDP and other panels by request. We have built many special-type machines such as this in the past.